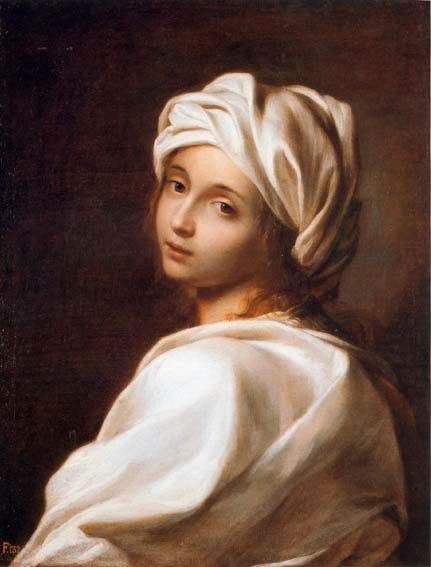 Beatrice Cenci was a victim of domestic abuse. When she retailed, she was arrested and executed. She was only 23 years old. The tragedy happened in Renaissance Rome. Born on 6 February 1577, Beatrice was the daughter of Count Francesco Cenci, a horrible and violent man with a terrible temper, which he often took out on his family. He often beat his wife and children (Beatrice had two brothers, one of whom died with her on the scaffold) and humiliated them. There were also rumours, although they were never proven in court, that he sexually abused Beatrice too. Everyone in Rome knew what was going on, but, as it is too often the case still today, they never tried to help, preferring to turn their heads away and pretend that everything was ok. Not even the authorities, to whom Beatrice had gone asking for help, intervened. His wealth and power made Count Francesco untouchable. Soon after this, the Count moved his family to his country site, the castle of La Rocca. Rumour had it that the real reason for the move was an illegitimate pregnancy. It originated from Beatrice’s will, in which she left 1000 scudi, a considerable sum of money at the time, to a small boy who was being raised by a woman called Catarina de Santis. We’ll never know whether there’s any truth in the gossip, but Beatrice did have a lover, Olimpio Calvetti. In any case, the family had had enough of the tyrant count. Knowing that no one would ever help them, they felt they had no other option but to murder him. The family sought the help of two loyal servants, including Olimpio, who agreed to kill Francesco. On 8 Semptember 1598, Lucrezia Cenci, Beatrice’s step-mother, had given her husband a sleeping draught so that Francesco wouldn’t oppose any resistance. Unfortunately for them, the effect of the potion ran off before the deed was done. The count fought back forcefully, but in the end, he was pinned down and his head battered. Then, a metal spike was hammered into his skull. Once he was dead, his corpse was thrown out of the window to make it look like an accident. No one was fooled. By then, the screams and the commotion had alerted the locals, who made their way to the castle to see what was going on. Once there, the saw the count’s corpse, which had landed onto the castle’s rubbish tip. The Cencis were therefore arrested and taken back to Rome. The trial lasted for a year, but the two servants who had done the deed were killed before that. Olimpio had at first managed to escape, but was captured and beheaded by a bounty hunter, while the other died under torture. The members of the Cency family, despite their aristocratic status were also tortured. Beatrice was said to have remained completely silent, but her elder brother Giacomo wasn’t so stoic and soon accused her of being the one who had devised the plot. The people of Rome, knowing all they had endured at the hands of Count Francesco, pleaded the court for mercy. But they only managed to obtain a postponement. Unfortunately for them, aristocrats were being murdered way too often in Rome at the time, so Pope Clement had no intention of being merciful. Beatrice, Lucrezia, and Giacomo were therefore sentenced to death. The younger brother, Bernardino, who was spared death probably because of his young age (he was only 12), was however condemned to work on a galley slave for the rest of his life. But, a year later, he was, mercifully, released. The rest of the family wasn’t so lucky. On 11 Septmeber 1599, at dawn, the family was beheaded just outside the Castle St Angelo in front of a big but silent crowd which included Bernardino. Beatrice was said to have faced death with calm and courage. Her remains remained on display in the Piazza St Angelo until night, and were then buried in the church of San Pietro in Montorio.